SBC Events has brought together experts from a leading US casino, tribal association, racetrack operator and government-run lottery, as well as those from gaming suppliers, consultancies, legal teams and regulators, to form the ultimate Advisory Board for the biggest sports betting conference USA 2019, Betting on Sports America (BOSA). 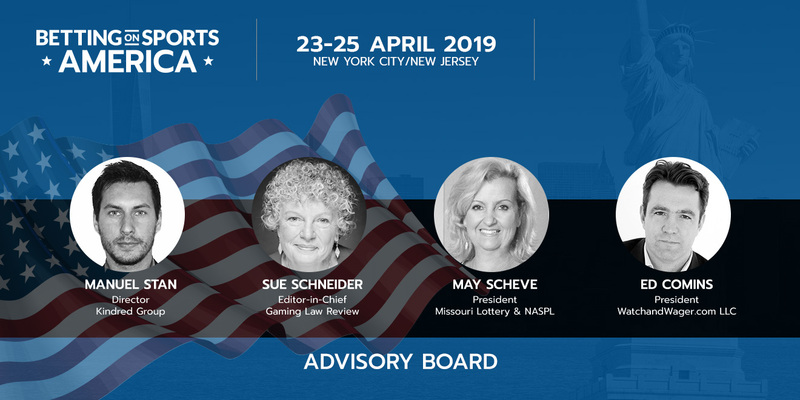 The inaugural Betting on Sports America, held from 23-25 April 2019, will open on Tuesday 23 April with a networking evening party for pre-registration near Times Square, move to the Meadowlands Exposition Center in New Jersey for the two-day conference and exhibition, with evening networking events in exclusive Manhattan venues – Jay-Z’s 40/40 Club and the Sky Room rooftop bar. Collectively this Advisory Board, which includes Hard Rock’s SVP Gaming Kresimir Spajic, Mississippi Gaming Commission Executive Director Allen Godfrey and Benjie Cherniak, CEO at Don Best Sports – the sports betting data provider recently acquired by Scientific Games, will be instrumental in helping Betting on Sports America to become the biggest sports betting conference in the newly liberalised US market.